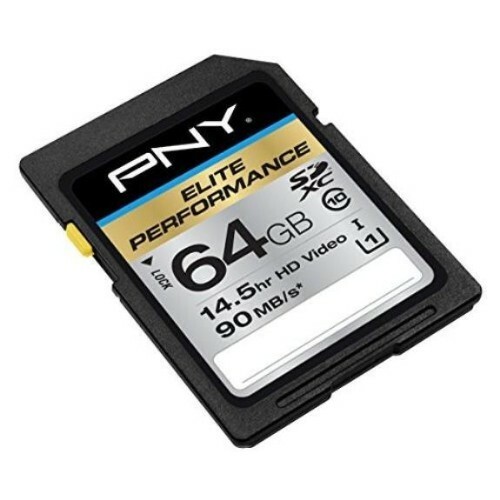 PNY 64GB Elite Performance SDXC Class 10 UHS-1 - 90MB/s (P-SDX64U1H-GE) $34.95. PNY 64GB Elite Performance SDXC Class 10 UHS-1 - 90MB/s (P-SDX64U1H-GE) for $34.95. PNY Elite Performance series SDXC high speed flash memory cards are perfect for moments when performance and capacity are the keys to capturing all the action. Featuring 90MB/s seq. read speeds these cards feature fast transfer rates. Spam Protection: * Answer of 5 + 7?